After completing the Bachelor of Music Honours Degree majoring in Jazz at ANU under the guidance of Miroslav Bukovsky, Dan has established himself as a versatile trumpet player, recording, arranging and performing with numerous bands in Canberra as well as being a regular performer at many of Australia’s Jazz Festivals. He is also the band leader of ‘The Dan Mclean Big Band’ Canberra’s premier professional big band. His experience has included performing as lead trumpet for Royal Caribbean cruises; as a member of the Canberra Philharmonic and Pops Orchestra’s, and soloist encompassing Trad, Contemporary Jazz and commercial music. He has performed with artists such as James Morrison, Grace knight, Hetty Kate, Gordon Webster, The Platters, Bobby Arvon… and many more. Dan and his band regularly perform for swing dancers. They love the interaction and the ability to build and create intensity with the dancers. This band really plays with the room and they can’t wait to perform at SLX this year! Catch The Dan Mclean Band at the Friday late nite, P-Jays on Broadway (with special guest vocalist Hetty Kate), and at the Deco Dance Saturday night at Petersham Town Hall. Born in Britain, raised in Australia and now dividing her time between the southern and northern hemispheres, jazz vocalist Hetty Kate sings with a pure tone, sweet voice and sensitive swinging phrasing. Often compared to a young Peggy Lee, June Christy or modern day chanteuse Stacey Kent, veteran radio host, musician and blues/roots/jazz aficionado Richard Fields (3CR Melbourne) declared “Hetty Kate’s voice overflows with a natural musicality..” upon hearing her perform live for the first time. Since her debut in the Melbourne jazz scene, Hetty has performed internationally across four continents and has released six albums. She is often compared to the chanteuses of the 1940s and 1950s and draws upon that era for inspiration. Hetty has also collaborated with acclaimed New York pianist Gordon Webster and recorded and released a successfully crowd funded album for swing dancers and the global Lindy Hop community, entitled 'Gordon Webster Meets Hetty Kate'. Catch Hetty Kate with The Dan Mclean Band at the Friday late nite, P-Jays on Broadway. Andrew Dickeson's Blue Rhythm Band is a band for dancers. They do what Basie did. They play 4 solid beats to the bar and no cheating. The Blue Rhythm Band has impressed dancers at the Little Big Weekend, Jazz with Ramona, Melbourne Lindy Exchange and Sydney Lindy Exchange. 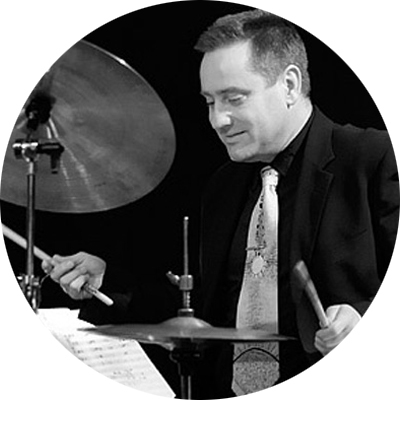 ANDREW DICKESON: Band leader, drummer, teacher, and jazz history scholar at the Conservatorium of Music in Sydney. Sydney lindy hoppers were looking for a band leader with one foot firmly in the Savoy Ballroom, and the other setting down a solid beat. Andrew had had a group of musicians who wanted to play for audiences who could dig what they were putting down. Andrew Dickeson's Blue Rhythm Band is a dance band. Made by jazz musicians for the ultimate jazz fans. RHYTHM SECTION: The most important part of a dance band. Four solid beats to the bar and no cheating. A solid bass player, a drummer who knows when to step back, a pianist who can be either rhythm or melody. Catch Andrew Dickeson's Blue Rhythm Band with special guest vocalist Pat Powell (aka. Patou) on Sunday night at Now You Has Jazz. Multi award winner Patou swings with kings and untouchables alike. With a career that spans over four decades and right across the globe, Pat Powell (Patou) is one of Australia’s most accomplished vocal talents. He is the artist that everyone wants to work with. Catch Pat Powell with Andrew Dickeson's Blue Rhythm Band on Sunday night at Now You Has Jazz. Sara Jeanne has been entertaining the Australian Swing Dancing scene for over 10 years. As a swing dancer, she appreciates what tempos fill the dance floor and how important musicality is for enjoying a great dance. Sara Jeanne elegantly creates an atmosphere that is reminiscent of the 1940’s and 1050’s. Her interpretation of classic jazz standards has delighted many audiences. Sara Jeanne studied classical singing at University but has enjoyed the freedom of singing jazz music for nearly 20 years. She has performed with The Velvet Set, Swing City, The Black & White Big Band, James Morrison and more. Catch Sara Jeanne and the City Gents Saturday night at the late night Neon Party at LDA Broadway.